I am extremely thankful to Cherry of My Life Lately Blog for giving me this award. :) If you want to see impressive photos by this budding photographer , then her blog is definitely the one to visit. 1. 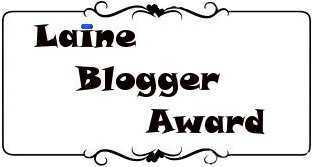 Link back to the blogger who awarded you. 3. Give the award to 5 other bloggers and let them know. Once again, thank you, thank you, and more thank you Cherry for the award. I am deeply honored.